Often when studios decide to come out with a sequel, I become very worried; especially if it is to a movie that I really enjoyed. I get curious as to how the story will continue and sometimes sequels just do not live up to the hype of their predecessor. In my opinion there are very few movies that are able to accomplish this feat, but I am happy to report that 22 Jump Street is a very worthy sequel to the acclaimed 21 Jump Street. The great thing about this film is that they take the exact same formula from the last one (like the saying goes: if it aint broke don’t fix it) and apply it to this film and it honestly works. They kept the same story concept with this film with a lot more laughs from beginning to end. The film starts off with ‘Previously on 21 Jump Street’ where they have a recap of what happened in the previous film (a nod to the TV show). The movie goes right into the action as we see Jenko (Channing Tatum) and Schmidt (Jonah Hill) undercover trying to bust another drug operation. The plan doesn’t go exactly in their favour and they are forced to improvise the situation. Let’s just say they fail miserably and are forced to go back into the Jump Street program. The thing that I absolutely love about this script is the fact that they always allude to something outside the movie. When the duo head over to Jump Street they notice that ‘21 Jump street’ has been bought and taken over and they literally head across the street to 22 Jump street, and as they walk over they comment on the fact that they may just relocate to 23 Jump street next time (it is literally under construction across the street). The plot is exactly the same this time around with the pair only needing to do the exact same thing they did before “Infiltrate the dealers, find the supplier.” Of course they are in college this time around instead of high school, making it much more interesting. The film explored the relationship between the two in greater detail; Jenko joins up with the school football team and hits it off with a jock named Zook (Wyatt Russell) who is an exact replica of Jenko. Schmidt gets it going with the artsy crowd and falls for a beautiful girl named Maya (Amber Stevens) (when you find out who she is…absolutely priceless). With the two in their respective camps, plenty of jealousy and resentment is bred and the two eventually go off in their separate ways (like the last one), but nothing can keep these two truly apart. 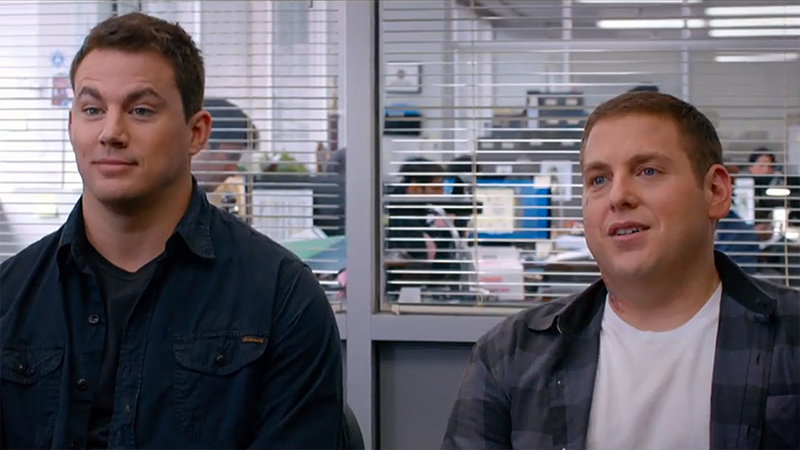 Channing Tatum and Jonah Hill do well in their respective roles and are way funnier this time around. 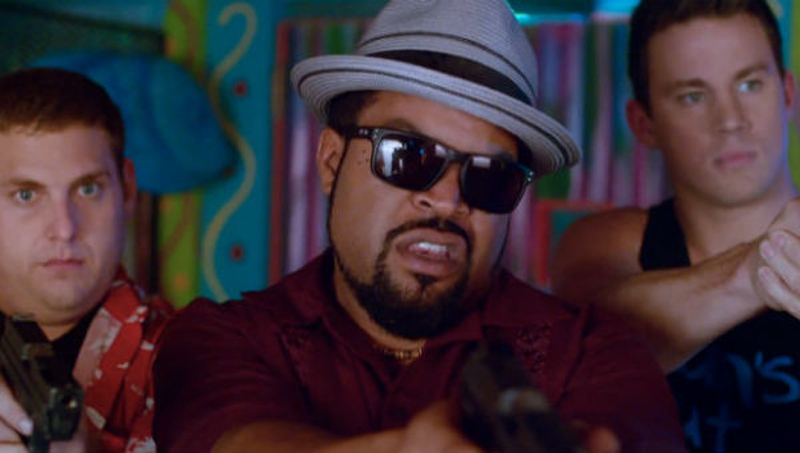 Ice Cube’s character is given more screen time and his chemistry with Hill is phenomenally funny and provides some of the film’s best moments. Bringing Dave Franco’s and Rob Riggle’s characters back from the previous was a nice touch but it did slow things down a little bit and it felt a little unnecessary to the film. They were thrown in to help reinforce the fact that the dynamic duo should be doing the exact same thing as last time. This sentiment is also reiterated by Chief Hardy (Nick Offerman), which I thought was smart and funny and a way to address the whole sequel issue head on without going to crazy about it. This film lived up to the hype and although I truly had some serious doubts about whether or not it would be better than the first, I’m glad my doubts were alleviated and were met head on. I enjoyed the movie thoroughly from beginning to end and there are a few gags that come after the closing, which are hilariously funny (I suggest sticking around). 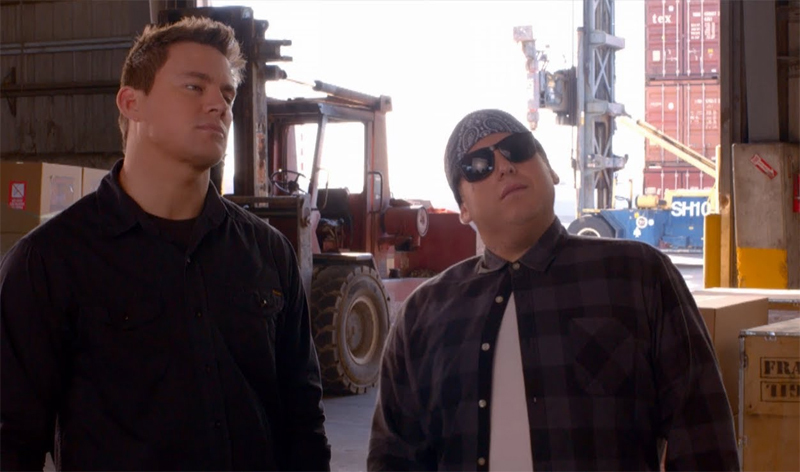 In all if there is to be another Jump Street movie I do hope that they break away from formula and routine. The formula worked out great this go around once again but if it is done a third time it may just grow stale. Here is hoping for some changes, if the next one does manifest itself.